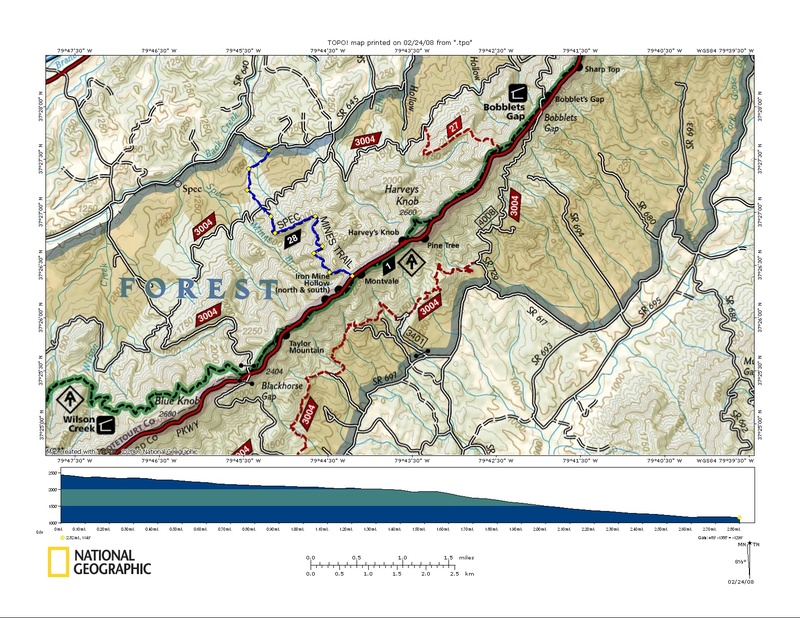 This trail circles around Iron Mine Hollow and Spec Mines Branch, above the 19th-century Spec Mines, as it drops 1,300 feet in 2.8 miles to VA 645. Along the way, it passes a large pine tree the Forest Service has posted as a “designated wildlife tree,” not to be cut. 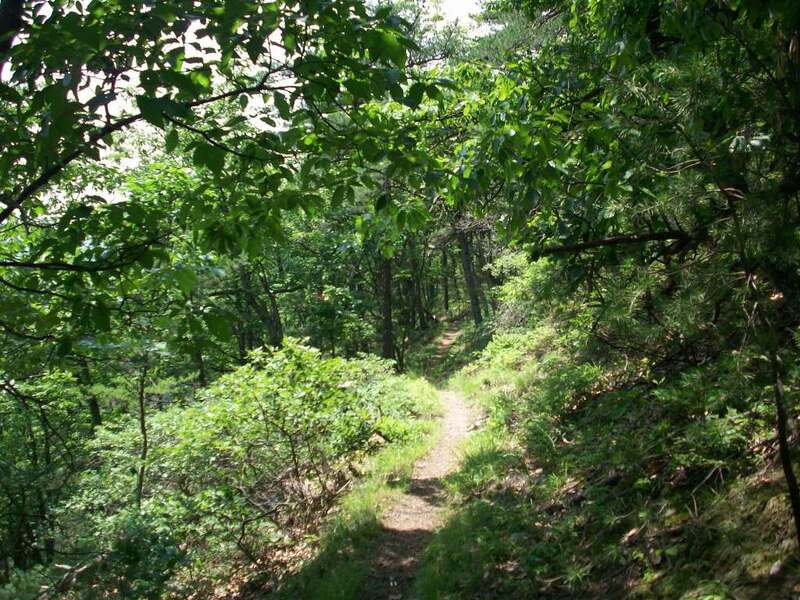 The upper end of Spec Mines Trail is on the western edge of the Blue Ridge Parkway 0.1 mile south of the Montvale Overlook, 50 yards south of milepost 96, and across the parkway from the A.T., 1.7 miles north of Black Horse Gap. The lower trailhead, south of Lithia between Buchanan and Troutville, can be reached by turning east off VA 640 onto VA 645. After 0.4 mile on VA 645, opposite the second (smaller) of two ponds, look for trail sign on right. This is a popular trail for mountain bikers.